We are a small hobby farm that have had Goldens since 2001. We are located near the beautiful Dale Hollow Lake where our pets love to swim. 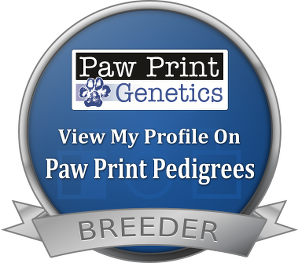 All our pets are AKC registered and health certified. Our purpose is to provide wonderful family additions that also exemplify the best characteristics of the Golden Retriever breed. The GRCA provides puppy referral as a convenience to puppy buyers to find out about breeders who are GRCA members and their litters. GRCA takes no responsibility whatsoever for any puppies/dogs that you may acquire through GRCA puppy referral. GRCA is not responsible for any breeder’s sale practices and sales contracts, nor will GRCA be involved in any manner in contract disputes between puppy buyers and breeders. Availability of puppies and conditions of sale are at the sole discretion of the individual breeder. Buyers are encouraged to readACQUIRING A GOLDEN RETRIEVER, as found on the grca.org website, for general information about obtaining a puppy, to take as much time as necessary to locate a reputable breeder from whom they feel comfortable purchasing a puppy, and to investigate breeders and their puppies thoroughly before committing to a purchase. You are not obligated to purchase a puppy from the breeders whose names you obtain from GRCA puppy referral. We, at Dale Hollow Goldens, also believe in giving back to those who have helped serve our country. Follow the link below to support Smoky Mountain Service Dogs. They are a non-profit organization who train and provide mobility assistance dogs to our wounded veterans.